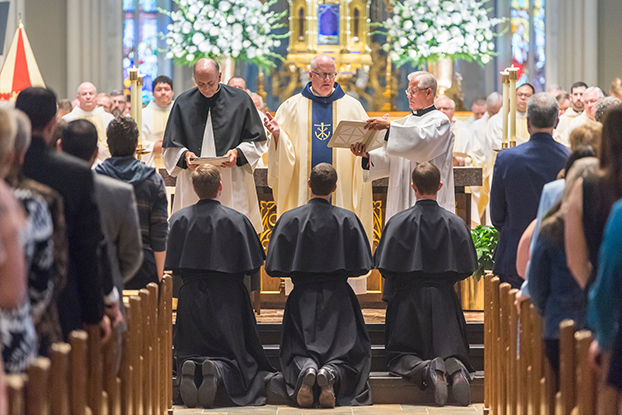 Discerning a call to the priesthood or religious life can be challenging, but we are here to help. please contact us, or join us for one of our discernment retreats. Discover tools that you can use on your own to begin to explore the question of vocation in your own life, explore opportunities to come and visit, or make plans to join us for a retreat. 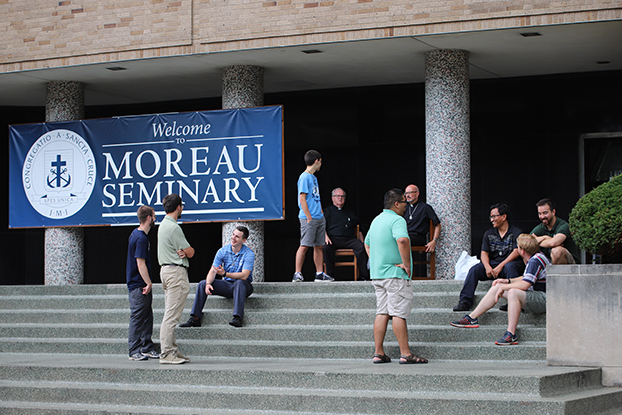 Take a virtual tour of our seminary buildings, and meet our men in formation. 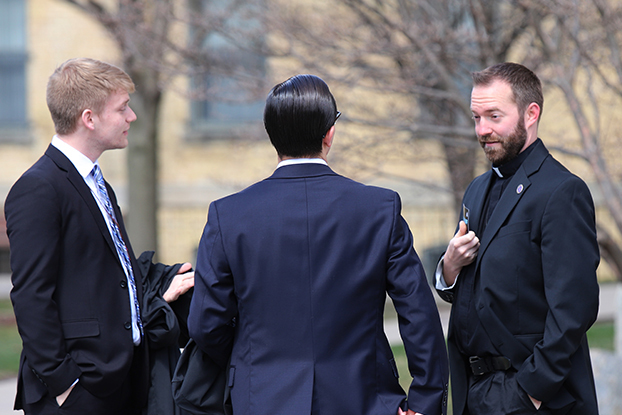 Read stories of Holy Cross Religious, and their experiences discerning their vocation. Subscribe to our e-newsletter, and follow us on Facebook. Learn more about our vocations magazine. If you have any questions, or if you're ready to talk about your options, Contact Us. It's a simple question, but finding the answer is not always easy. We invite you to take some time to explore the tools available on this site to help you in your discernment. Or, feel free to Contact Us. Remember, our job is not to tell you what you should do. Our job is to help you listen, so that you can discover God's authentic plan for your life.